Pfc. 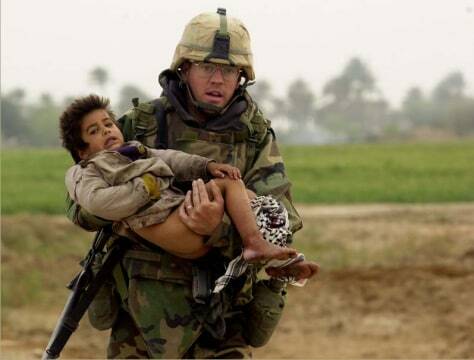 Joe Dwyer carried a young Iraqi boy who was injured during a heavy battle between the U.S. Army's 7th Cavalry Regiment and Iraqi forces near the village of Al Faysaliyah on March 25, 2003. Dwyer died of an apparent overdose at his home in North Carolina on June 29.